I have some awesome news, everybody! Asgard is real. It’s filled with giant golden pillars, battle arenas, armored soldiers, and even an epic, intricate prison system. I know this because I traveled there last year. 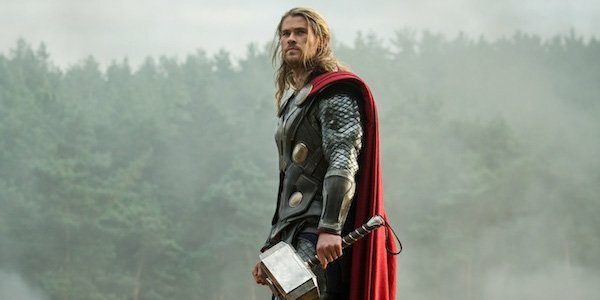 Unfortunately I can’t tell you about all of the things I saw on the set of the Thor sequel just yet, but with the premiere of a brand new trailer for the movie set to come out tomorrow we’ve been given permission to share the interview that we did with the God of Thunder himself, Chris Hemsworth. 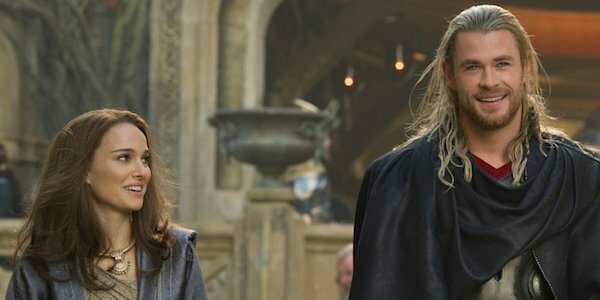 Read on for the full scoop about The Dark World, including the status of the relationship between Thor and Loki, the Game of Thrones influence that director Alan Taylor brings, venturing into the other realms, and much, much more. Where is Thor at the point where the movie starts? Where is he? I mean Avengers is kind of a side step in amongst everything, for all the journeys. Iron Man and Thor… this is certainly a continuation of it, but at the same time Thor’s journey, I think, picks more so up from where we left the first one: about to take on the throne, about to earn him the right to the king. And now coming to the realization of what that responsibility comes with. And also, Alan [Taylor] keeps talking about the dark side of that responsibility and the secrets within being king, or becoming sort of very political about what people need to know and what they want to know. And obviously Tom [Hiddleston]’s on set, so it’s sort of this continuing, which is great, to have some meatier stuff with Tom. Certainly in The Avengers, the stuff I got to sink my teeth into were those scenes, and follow up our relationship. And the on-going sort of question from Thor about what is it that Loki wants, and how did we come to this? I think we get to kind of possibly attack some of those questions properly. Are we going to see as much comedy on this as the Avengers, or has it got more of a serious edge? Well no, because Downey’s not here [laughs]. He takes care of that for us. I think that Jane and… or Natalie [Portman], and Kat Dennings certainly have some great humor. There’s a few nice kind of fish-out-of-water moments with Thor, but not quite as naïve and obvious as the first one. I think the earth bound stuff really grounds the story in both films and keeps a lightness to it that trickles to Asgard as well. In the first film, we spent lot of time on Asgard and a ton of time on Earth. How does it break down percentage-wise in the sequel in terms of where you guys are spending time? It’s certainly set in both worlds pretty substantially. Like last time, pretty similar, I think. We certainly see more of Asgard, and more of the nine realms in this film than we did in Thor. In Thor we were just on Asgard whereas with this there’s a bigger universe out there which we get to explore. How is the experience different on this film working with Alan Taylor as director versus Kenneth Branagh on the first? Obviously two different people you get two completely different styles, but also two very different stories, you know? Origin story verses, you know, this sort of ongoing… the train is moving now, and especially since Avengers. He certainly didn’t come in with different angle or attitude on how Thor should be, you know. We all sort of knew where it was headed, that I think had the same want to take it to that next level. And Alan, you can even see with the set design he wants to ground it in a more organic tone. Game of Thrones is set in a reality-based world, but there’s fantasy elements which are quite prominent in this. It’s similar to what we got going over here. Um, you know… not much [laughs] In the comic books there’s obviously an attraction with Thor and Sif, or what have you. And there was little peppering of that, I think, in the first one. Little hints at it. There may be… [laughs] might be more indication… I’m a politician [laughs]. The stuff with Odin’s interesting because what we didn’t want to do... You’ve got to have the right amount of conflict in order for this to be interesting. The conflict between Thor and Odin was, I think, so great in the first one, and he didn’t want to repeat that, so, certainly they disagree as I think they always will at times. But there’s a far greater respect from each other. It becomes a more mature conversation, but there’s more at stake this time, too. You know it’s not just their individual egos. The whole universe is at stake. In the comic books, Thor and Loki have these ups and downs where they’ll be mortal enemies and then best friends. Can you talk about if you guys are on an aligning path in the sequel, and getting together? I can’t say too much, but I think in the comic books you kind of roll your eyes sometimes at the amount of times they’re back to being best friends. So we wanted to keep in mind, Loki did just try to kill you for the seventh time, and Earth, and the big war, and what have you. So not to put words in your mouth, but you guys are getting along, but you’re not like as close as in the comics. Um...I don’t know. I think maybe we have a common need or something. You know the scene in Avengers when Thor says, “Careful how you speak.” He may be crazy but he’s my brother. He’s a screw up, but he is my brother. I don’t think they’re going back to being best friends, but I think Thor’s at a loss about how they got to this point, ‘cause for him I think all this stuff came out of nowhere. I think that then in this film he certainly can acknowledge now, with a maturity, that, okay, he should have been more aware of Loki over the years, and where he was positioned and all of this, and why maybe that led him down a certain path. So I think there’s a sort of an empathetic view for Loki that no one else can have because they’re not bound by blood. Avengers 2 is coming. How does this set the stage for what’s coming? Do they all still build toward another bigger picture? I think they’re all link up in some way, but I think Marvel is pretty adamant about them being their own stories. I was sort of wondering, “Are we going to start doing cameos in everyone’s film?” but I guess that would take away from the impact of when we do finally come together. So I think these stories, they kind of segue off into their own world, and each of the Avengers are conveniently not around at the time [laughs]. And that’s the thing. You watch Iron Man now or the trailer and you go “Where’s Cap? Where’s Thor? Where’s Hulk? Are they on vacation or something?” But they’re being really smart about removing everyone in a way that sort of hopefully takes care of that. 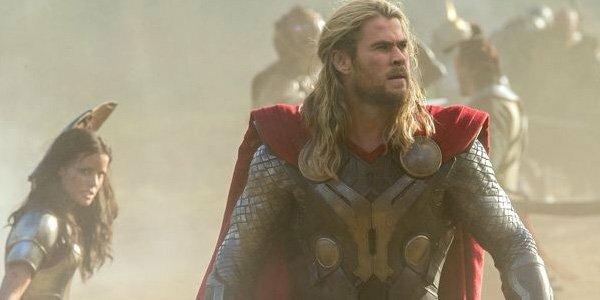 Do we get to see more of Thor’s role across the greater Nine Worlds and his place within all the other? Yeah, yeah. I think we cover more ground than we did in the first one. He went off not just in Asgard, we certainly venture out into the bigger universe. The scope of this just feels massive. We just were in Iceland for a week, and there’s volcanic lava, rock, mountains and snowcapped mountains and we didn’t see that in the first one. It already feels like there’s a bigger expanse to it. How does the dynamic between you and Loki compare to the dynamic between you and Malekith? Obviously it’s tough without giving anything away again. We’re obviously not related, you know [laughs]. Is he more involved than Loki? Is he worse than Loki in some ways? Loki kind of has some redeeming qualities at times, and he’s kind of lost his way as opposed to just never being on the right path to begin with. So that’d be the difference between the two of them. Well yeah, of course [laughs]. Yep, yep. It’s all bound in substantial and warranted conflict and disagreement. Sure. Yeah, yeah. Obviously Natalie’s in the film and it sort of picks up where we left off, with a bridge being broken between them and how do we fix that. Is she pissed off that you didn’t call her?